When you send your Blake CO-AX INDICATOR in for repair, be sure to include a phone number where you can be reached in order to quote repair cost before starting. No work will be done without your authorization. There is no charge for us to inspect and quote repair cost for the indicator. If you wish not to have it repaired, we will send it back at no charge. Most indicators can be repaired at a substantial savings over the cost of a new one. Normal turnaround time is about one week after your authorization. The cost of repairing a Blake indicator is $75.00 labor, plus parts and shipping. Warranty on a repaired indicator is the same as a new one (one year on parts and workmanship). If your indicator only requires certification, it will be completely disassembled, cleaned, reassembled, and certified to factory specifications (.0002 of true position with the needle not moving). Charge for certification is $60.00 plus shipping. 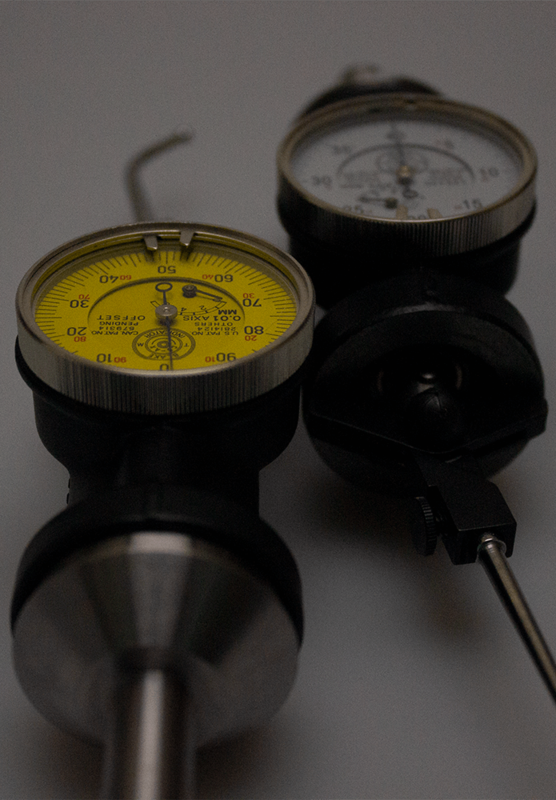 The Blake CO-AX INDICATOR is a centering device. It requires a reading of both sides of the bore or boss in each axis, to arrive at the center. Its sole function is to find center. It is NEVER to be used as a measuring instrument. You cannot certify the CO-AX on a surface plate. It must be put in a spindle of a machine that it would normally be used in and indicate a precision ring or plug. Then remove it and use a .0001 indicator to check that your are on center. The CO-AX INDICATOR is made to be used under power. When checking the CO-AX position with a test indicator, the spindle should be rotated manually for both indicators due to the fact that spindle torque under power on some machines will give a different reading for center.